Geosung Tech, the South Korean company that is building the doors of the new sea lock in IJmuiden, is threatening to seize the newly arrived doors. The company informs Het Financieele Dagblad (FD) about this. Geosung Tech, the South Korean company that is building the doors of the new sea lock in IJmuiden, is threatening to seize the newly arrived doors. The company informs Het Financieele Dagblad ( FD ) about this. Between the company and OpenIJ, the consortium of BAM and VolkerWessels, problems have arisen about additional costs for the construction of the doors. OpenIJ also used a bank guarantee when reclaiming 7.3 million euros. Geosung Tech wants that money back now. According to Vice President Sales Hyun-Kug Lee, Open can not "accept the doors and claim the money back", he tells the FD . 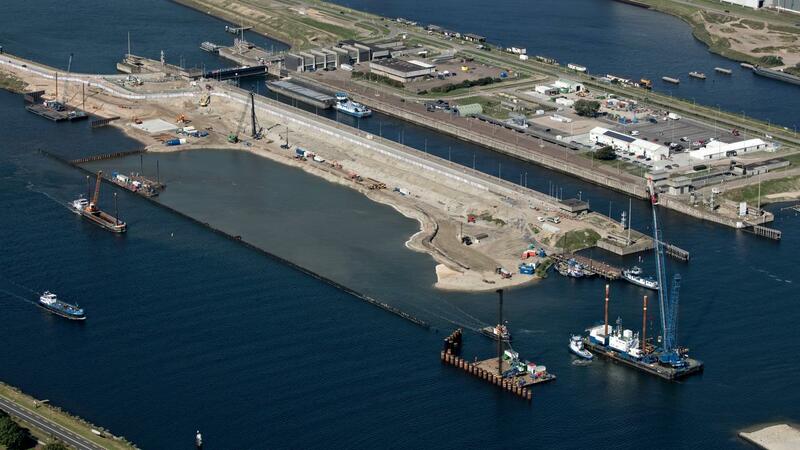 BAM and VolkerWessels state that the disagreement will not lead to further delays in the construction of the sea lock, which must now be opened in early 2022. That would be next autumn. Because the door sockets have been incorrectly designed, BAM and VolkerWessels have faced several financial setbacks. Together, the builders have now suffered a loss of more than 200 million euros on the project. The doors arrived at the Second Maasvlakte last December. They are 72 meters long, 24 meters high and 11 meters wide. The sea lock is being built because the old one, which dates from 1929, has become too small. The new lock will become the largest sea lock in the world with a length of 500 meters.